This cross is the perfect gift for any mother. 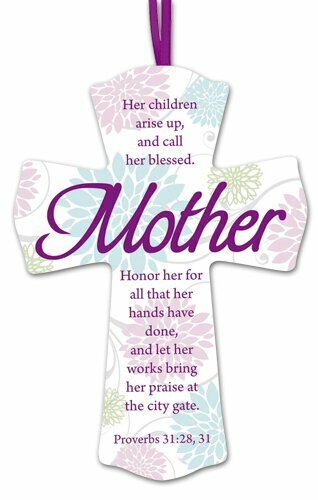 Includes a ribbon hanger, floral background and the verse, "Her children arise up and call her blessed. Honor her for all that her hands have done, and let her works bring her praise at the city gate." - Proverbs 31:28, 31. Value-priced for give-aways during Mother's Day or Women's Group gatherings.